The International Centre for Counter-Terrorism (ICCT) and the T.M.C. AsserInstitute are organising the Advanced Summer Programme in The Hague on Countering Terrorism in the Post 9/11 World. This advanced programme is for graduate students and young professionals, interested in pursuing careers in counter-terrorism and related fields of work. ● the applicable international legal framework. The programme will be delivered by a team of international and national leading experts working in the field of counter-terrorism. This fee includes course materials and transportation to study visits. The fee does not cover (international) travel costs, domestic travel to and from airports etc., (hotel) accommodation, insurance or other expenses. Participants must make their own travel arrangements to The Hague. These arrangements are the sole responsibility of each participant. Please note that it is your responsibility to ensure that the fees are paid in full by the correct date. Details of payment method will be communicated to you after acceptance of your application. There are no scholarships available for this programme; participants are responsible for paying their own tuition fee, travel costs and accommodation. The Human Rights Law Centre of the University of Nottingham offers an excellent three-month course (starting in September /October or January), designed to give an in-depth understanding of human rights standards across the world through seminars, guest lectures, workshops, visits, tutorials and conferences. 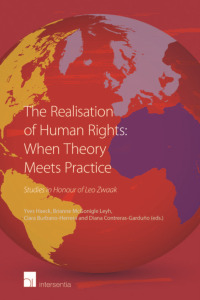 It provides valuable insight and contextual knowledge of the practical operation of human rights law for those interested in human rights protection, from NGOs, international organisations, government, judiciary, police, charity or legal professions, academia, media and business. A six month course version is also available, which includes either a three month internship at a non-governmental organisation (NGO) or in the Human Rights Law Centre, or further research study in the Centre. 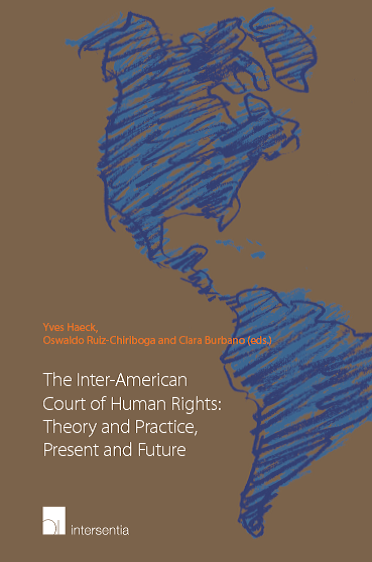 This course covers the breadth of international human rights standards and systems. Participants will take four compulsory seminar modules as well as LLM lecture modules. Courses are led by Prof. David Harris, former member of the European Committee of Social Rights and Prof. Michael O'Flaherty, member of the UN Human Rights Committee. ● Welcome and networking event. ● African Charter on Human and Peoples' Rights. ● World Trade Organisation Law and Policy. ● Short Course participants are invited to attend the regular HRLC programmes, in addition to other ad hoc events that occur throughout the year: Annual Conference November ; Paragon Lecture, December; Spring Lecture, January/February; Student Conference, March; Human Rights Film Series, every other Wednesday. ● Students have the opportunity to research and write a short research paper on a subject of their choice. The paper will be submitted towards the end of the programme. ● Short Course students will receive a certificate of attendance, accredited by the University of Nottingham Human Rights Law Centre. The course is designed to provide an in-depth understanding of human rights standards across the world, for those currently working in human rights or related fields, and for those entering such fields. Participants frequently come from NGOs, international organisations, government, charities, legal professions and academia. Places are limited to ten people in each course. Students from many countries worldwide have taken the course, including students from Argentina, Armenia, Azerbaijan, Bangladesh, Bulgaria, Cameroon, China, Colombia, DRC, Egypt, Ethiopia, France, Georgia, Germany, Ghana, Hungary, India, Iran, Iraq, Italy, Kenya, Malaysia, Mongolia, Mexico, Nepal, Netherlands, Nigeria, Pakistan, Peru, Poland, Portugal, Russia, Saudi Arabia, South Africa, Sudan, Switzerland, Syria, Thailand, UK, Ukraine, Uzbekistan, USA and Zimbabwe. Our Alumni includes graduate students, ministry of foreign affairs and Attorney General officials, prosecutors, judges, lawyers, ombudsmen, UN field operations, NGO and national human rights commission staff, army and police officers. As the programme is taught in English, participants are required to demonstrate an overall score of 6.5 in a British Council English Language Test or a TOEFL score of 600, or otherwise demonstrate sufficient English language skills. The Short Course programme speakers are carefully selected to include a balance of experts, practitioners and academics or researchers, many of whom work in practice and in academia, providing insight, practitioner experience and theoretical insight into the subjects they teach: their hands-on experience provides a unique environment for exchange and dialogue. ● Sangeeta Shah, Lecturer in Law. In addition to regular Short Course speakers and trainers, a number of high profile, international experts and practitioners will hold seminars and workshops. In recent programmes guest speakers have included: Professor Brice Dickson, Queens University, Belfast; Helen Duffy, INTERIGHTS; Morten Kjaerum, Director, FRA, Vienna; Manfred Nowak, University of Vienna; William Schabas, University of Galway and Leiden, etc. The Short Course programme includes seminars, lectures, group work and presentations. ● The programme is taught in English: participants are required to demonstrate an overall score of 6.5 in a British Council English Language Test or a TOEFL score of 600 or otherwise demonstrate sufficient English language skills. ● Each student will be assigned a personal tutor in the first week of the programme, who will discuss the interests and goals of the student for the Short Course programme, directing them to relevant sources, and practices. Meetings will take place on a regular basis throughout the programme. ● The Short Course begins with a series of seminars on study techniques, including using the internet and online databases for human rights research. A tour of the world-class Hallward Library will take place, ensuring that participants are familiar with the library resources and its catalogue system. ● Reading materials will be distributed to Short Course students in advance of each seminar, and should be read before the session. The amount of time this will take will depend of the participants familiarity with the topics and reading in English, but should be approximately two hours. ● Short Course seminars provide an intimate environment for Short Course students; sessions are fully participatory, involving discussion, case studies and presentation. In LL.M seminars, students will have the opportunity to discuss human rights issues with LL.M students from many countries worldwide. ● Students will take four modules on the LL.M programme, where they will join lectures with the LL.M students. Lectures provide a detailed insight into each of the module topics, and benefit from the experiences of the postgraduate student community, alongside the expertise of the Lecturer/Professor. ● Students will also be invited to make presentations of their human rights work and interests, following a seminar that introduces presentation techniques. ● Students on the six-month programme who opt for an internship will liaise with the personal tutor to identify their interests, following which HRLC will arrange a placement. ● Visits to institutions and two NGOs help students to engage with practitioners, in their work setting, experiencing the realities of prison life and management, witnessing a criminal hearing in the Criminal Court, meeting magistrates, police, prosecutors and NGOs. ● Students on the six-month programme who opt to stay in Nottingham can choose to complete a three-month supervised research project, following discussions with their personal tutor. Since a maximum of ten students will be accepted on any programme, early application is encouraged. Application deadline: 1 September 2012. ● Successful applicants will be required to provide a fixed deposit of £500.00, upon receipt of the deposit, you will receive supporting documents and details of the programme. ● Applicants are responsible for their own travel arrangements, obtaining a visa if needed and should allow sufficient time to make these arrangements when planning their application. HRLC is occasionally able to offer Fellowships, through a competitive application process. These details will be advertised on the HRLC website and through a number of lists. Applicants are requested not to contact HRLC speculatively in this regard: emails in this regard will not receive a response. ● Applicants whose first language is not English: you must demonstrate an overall score of 6.5 in a British Council English Language Test or a TOEFL score of 600, or otherwise demonstrate sufficient English language skills. Completed applications should be sent to: Miss Kobie Neita, Human Rights Law Centre, School of Law, University of Nottingham, Nottingham, NG7 2RD, UK; Tel: +44 (0)115 84 66309, Fax: +44 (0)115 84 66 579; Email: kobie.neita@nottingham.ac.uk. Incomplete applications will not be considered. Please contact Miss Kobie Neita if you have any difficulty in meeting the application details above. Applicants are responsible for their own travel arrangements and visa (if applicable), and should allow sufficient time to make these arrangements when planning their application. HRLC will provide support to successful applicants in this regard, however, it is the applicants responsibility to ensure their arrival at the beginning of the programme. The Coalition for the International Criminal Court (CICC), a global network of more than 2500 NGOs advocating for a fair, effective and independent International Criminal Court (ICC), collaborating with individual activists, governments, inter-governmental bodies, academics and other international law experts from around the world, are looking for an intern for its Europe Regional Office in Brussels, Belgium. The intern will assist with the Coalition’s campaign in the region. The dynamic environment made possible by a global campaign involving thousands of large and small NGOs, governments, EU institutions, academics and international organisations provides for diverse educational and professional learning opportunities. ● Expanding and strengthening the Coalition's global network. ● Support the CICC’s regional efforts, including efforts to increase ratification and implementation of the Rome Statute of the ICC in collaboration with civil society, governments, and the media in Europe. ● Undertake special projects and assignments as required. ● For Russian-speaking interns only: assist with Russian language project: a) Translation of key documents; b) Letter writing; c) Contact people in Russian speaking countries. Please note that this internship includes administrative work. However, supervisors will make a concerted effort to see that there is a balance of programmatic and research-related work. ● Interest in the CICC’s mission. Internships are full-time and typically last between 3-6 months. Interns are expected to be in the office between 9:30 am and 6 pm, unless other arrangements have been made. The CICC values the global diversity of its members and staff, and is interested in candidates from diverse backgrounds. Internship applicants should be aware that non E.U. citizens will have to make their own arrangements in order to be able to work in Belgium. Unfortunately, internships at the CICC are unpaid. We recommend all prospective candidates to seek financial assistance from their academic institutions or seek outside fellowships, grants and other resources. Applications are reviewed on a rolling basis and short-listed candidates are invited for interviews. Applicants not currently in Brussels will be interviewed by phone. Additional information, such as writing samples, may be requested at this time. Successful candidates will be notified shortly after the interview. Due to the large volume of applications we receive, we are only able to notify candidates who have been selected for interviews. 1. The internship was successfully completed. 2. The intern completed an evaluation form at the end of the internship. It is the intern's responsibility to ensure this is completed before or shortly after the end of the internship. ThreeUK-based civil society organisations – Ecumenical Council for Corporate Responsibility, Indigenous Peoples Links, and the Missionary Society of St Columban – and one UK academic institution – Middlesex University Business School Law Department – have developed a joint advocacy project to promote the human rights of mining-affected Indigenous Peoples and address the wider economic, environmental, social and political costs to society of large-scale mining. The project will run from January 2012 to August 2014 and seeks to persuade leading multinational mining companies (that are UK listed) to adhere to existing international human rights standards and specifically to adopt and implement Free, Prior and Informed Consent (FPIC) as a new industry-wide policy and practice standard, as incorporated in the 2007 United Nations Declaration on t-he Rights of Indigenous Peoples (UNDRIP). The project partners will work in close consultation with Indigenous Peoples’ organisations in commissioning and publishing an advocacy paper on the issue. The project will be guided by these organisations in developing dialogue with target mining companies,institutional investors and fund managers, and state regulatory actors in pursuing company policy and practice change. The advocacy paper will start this process, with an initial focus on the mining companies. We are therefore looking for one or more consultant researcher(s) to research and write the advocacy paper, working with the project partners and with guidance from an advisory group that will include representatives of Indigenous Peoples’ organisations. The researcher(s) will be responsible for researching, drafting and revising an advocacy paper in English as outlined in the project proposal (full proposal available on request): length: approx. 30 pages / 15,000 words, including recommendations (plus relevant appendices and references). ● Sources and references.Gender: The advocacy paper will address gender as a cross-cutting issue and explore possibilities for obtaining data on mining’s gendered impacts on indigenous women and men, from an indigenous perspective. The project partners understand that this will be an iterative process, and are open to suggestions regarding modifications to the paper’s structure and content. Aside from the report, the researchers will be required to actively participate in verification and launch events as laid out below. The production of the advocacy paper will be a desk study carried out in close collaboration with the project partners, and with input from the advisory group. Source documents to be consulted will include, but not necessarily be limited to, relevant company reports and industry publications, key UN documents, papers already written on the subject (particularly by Indigenous Peoples and their supporters as well as internationally peer reviewed literature) and case studies written up from conferences or by communities. The research will also likely involve interviews with relevant mining industry employees, particularly to better understand their concerns around FPIC, as well as expert indigenous and academic commentators. It is intended that the project partners and advisory group will supply ideas and access to some of these materials, but others will be gathered by the researcher(s). It is also expected that the researcher(s) will participate in seminars or meetings with experts, companies or investors where the findings and recommendations will be discussed. The project plan includes a launch event for the advocacy paper (around March or April 2013), which we expect researcher(s) would attend, to assist in the presentation of the paper’s findings and recommendations in London. There is budget for travel, which is intended for travel of indigenous activists and advisors that could be used to pay for researchers outside of London to travel to London-based meetings. The contract for this work will be in the form of a letter of agreement between the project partners and the commissioned researcher(s). The timetable is envisaged as running from July 2012 to March 2013 (ten months) but may be altered by mutual agreement. This includes time for feedback from expert indigenous and academic commentators, ideally including seminars and/or meetings. The researcher(s) will submit a draft paper to the project partners for reading, circulation to the advisory group and comment within four months of signature of the letter of agreement (precise date to be agreed). Subsequently they will deliver the revised text by the end of January 2013 (or by an alternative date to be mutually agreed), for a final set of review meetings. Total researcher(s) fees are£10,000. One third of the fees will be payable on signature of the letter of agreement, the other two thirds on on completion and approval of the final paper. Any travel or communications costs would need to be agreed with the project coordinator in advance, and would be paid on production of agreed paperwork. ● Fluency in Spanish and other languages, in order to access original materials, would be an advantage. Preference will be given to applications from, or including, Indigenous Peoples. The project partners are willing to consider either one or several researcher(s) to undertake this research. Joint applications are therefore welcome, indicating how those involved propose to allocate the work between them. Any queries, or expressions of interest in the form of a brief covering letter and career résumé, with at least two references, are invited by 2 July 2012 to: Andy Whitmore at comms@piplinks.org or via post to:- 225-229 Seven Sisters Road, London, N4 2DA.